Remember Movies like Grease, drive in theaters and roller skating diners? 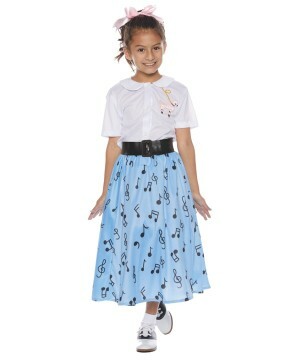 Bring back all the fun of the 1950s with a rock and rolling 50s Costume. 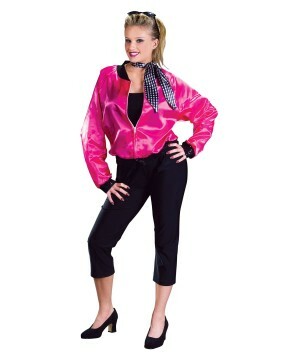 Make the best of you Halloween or Costume party when you wear Poodle Skirt, Elvis Costume, or a classic like Marylin Costume or a T-Bird Jacket. 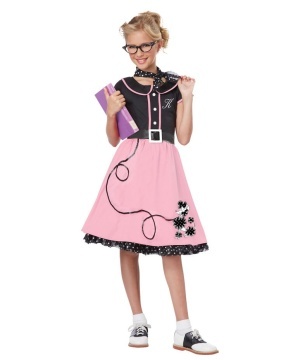 All the fun of the 50s can be found in this great Costume collection. Embrace the Golden Age of 1950’s America. 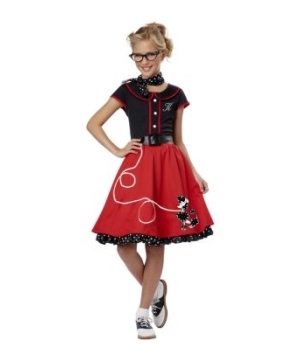 Bring back the carefree spirit of the decade with a real coolsville 50s Costumes. 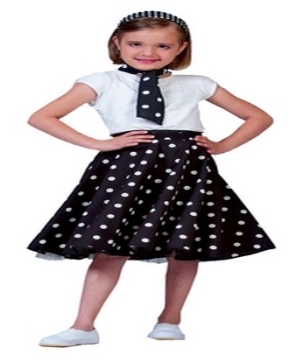 You can find 1950's Dress for Men, Women, Kids and Teen sizes. Hot rods, soda shops and drive-in movies make life a kick and new fashion and entertainment are everywhere. Love cars? 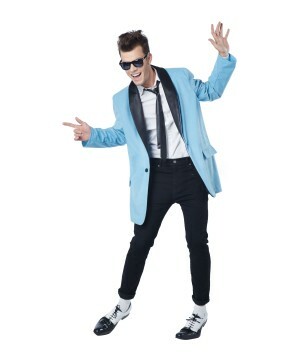 Join the hot rod scene with Movie Costumes from Grease like Danny Costumes, Pink Ladies Costume, Sandy Costume, and Rizzo Costume. You could just hang with the girls and get a smoothie in a cute Poodle Skirt Costume or sweet Soda Shop Costume. 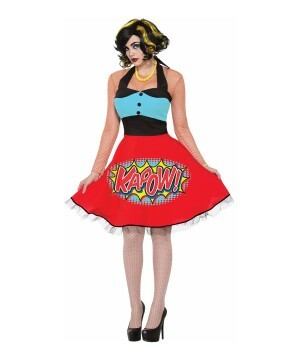 For a Halloween Costume with nostalgic glamour choose from a variety of 50’s Celebrity Costumes. 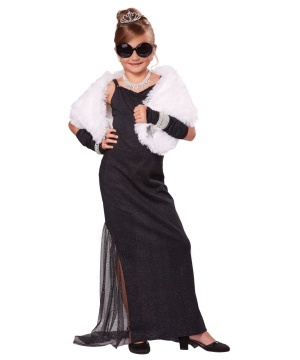 Wear all the famous styles of Hollywood’s favorite starlet in a Marilyn Monroe Costume. 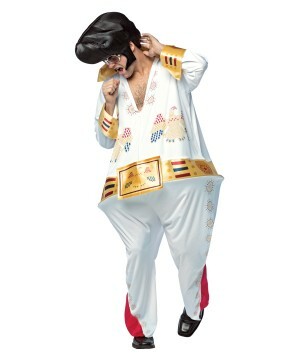 Rocking and Rolling in an Elvis Costume, or Buddy Holly Costume will make you the star of any Halloween part. Color TV’s have all the shows that make them laugh and you can too with a Lucy Costume or Happy Days Costume. Everywhere you look, the 50’s are about fun. Sitting in a Dinner with that all-American Milkshake in the hand, Poodle skirts, slick-back hair, rock ‘n’ roll vinyls… Swell! 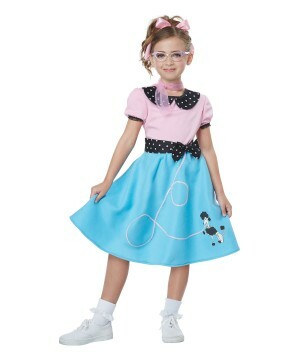 We have a classic Fifties Halloween Costume Collection from movie stars: Marilyn Monroe, Elvis, Grease, I love Lucy… to Sock Hop, Prom Queen, Waitress, Car Hops, and more!